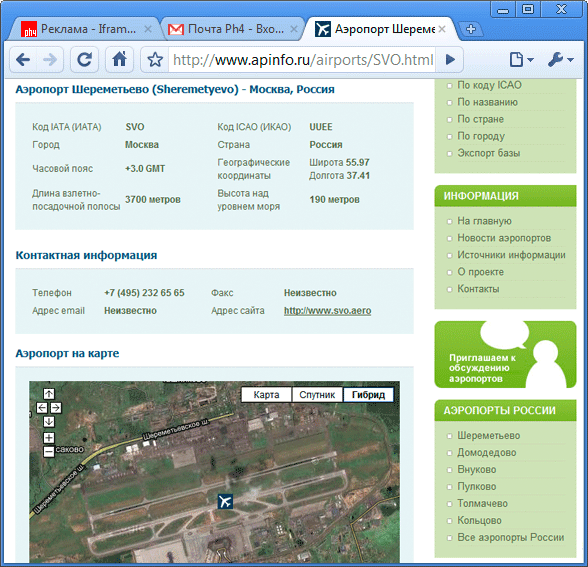 Russian-language database of civil airports around the world. The largest and most detailed database. The service is well structured. A map that shows in real time the position of aircraft in the air. The Google map is used. On the map, airports can be displayed and by clicking we get information on flights, airport temperature, wind force, local time. In addition, the site has a section on airports. We select the country, then the airport and get it on the map with information on it. The site has a good section on airports. The site is worthy of attention. Search is not difficult, a simple list and search form. As a result, there will be no links to hotels, etc., but there will be 3 maps to choose from, and in addition to detailed information about the airport, there will be a brief information To neighboring airports. Perhaps the best online base for airports around the world. You can search by code, airport name, city name. Information on the airport - map, length of the band, time zone, longitude and latitude, well, codes for IATA, FAA, WAC. Twitter and Facebook accounts are indicated. In addition, hotels and car rental locations can be recommended with a link to the site. Are you stuck in the airport? Do you have a long ferry? 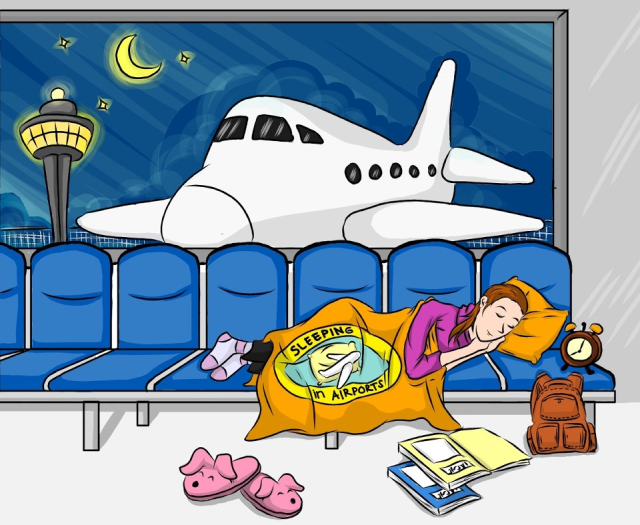 Would you like to save money at the airport, sleep at the airport? Sure, it can be humiliating. But everyone needs advice and understanding what to do in this situation.